The weather was so beautiful today so I took Sienna and Brielle out to play. Brielle didn’t last long and after she snuggled down for her nap Sienna and I went back out. I pulled her in the sled, boy that’s a workout :), and we made snow angels. I couldn’t pass up an opportunity to get some outdoor practice with my camera so I snapped a few photos as well. 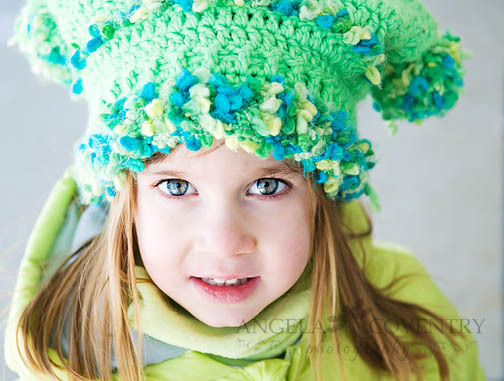 Sienna’s favorite color is green and she’s wearing her hat made especially for her by her Grandma. 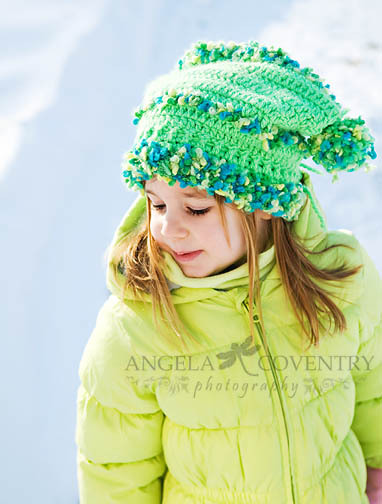 I haven’t posted anything of Sienna lately and thought I would share a couple of my favorites from today.